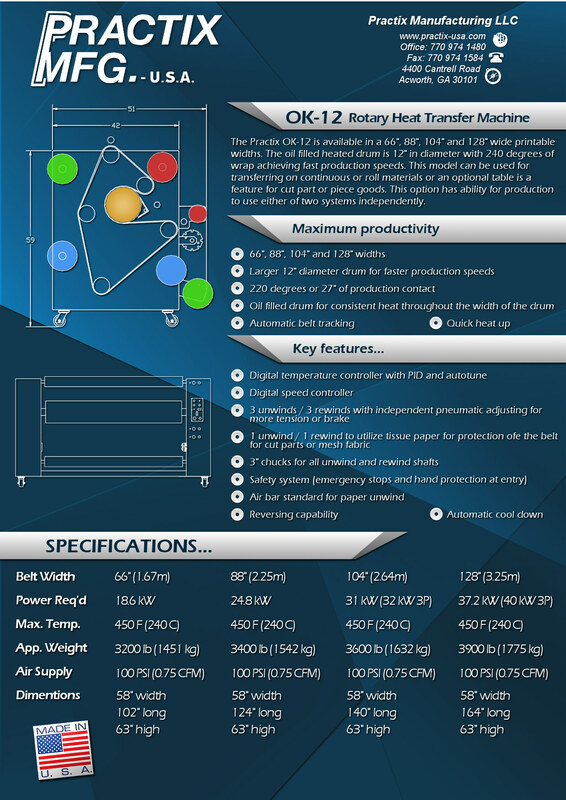 Practix Manufacturing’s OK-12 is one of the most advanced heat transfer machines currently available. With a heavy-duty unitized frame, 12” diameter drum, and varying belt widths that allow for printing on fabrics of all sizes, the OK-12 is a heat transfer press that is unlike anything else in its class. This model can be used for transferring on continuous or roll materials or an optional table is a feature for cut part or piece goods. 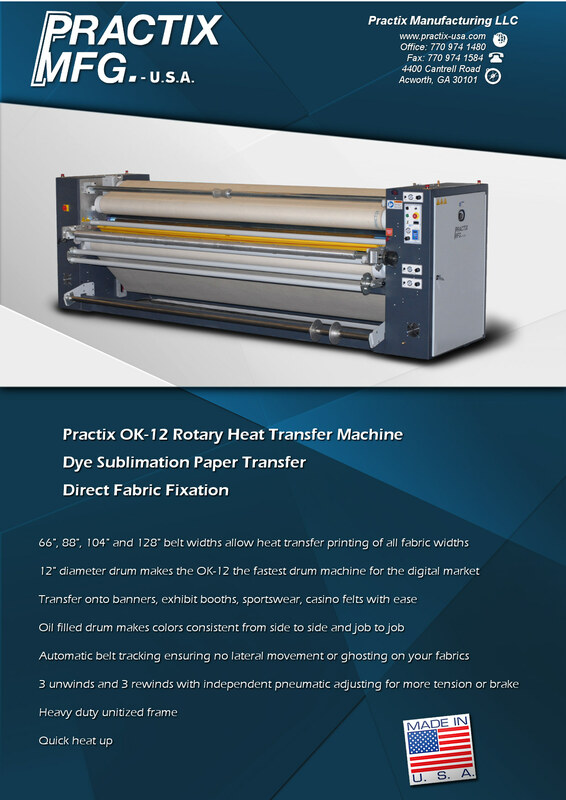 Practix rotary product lines include high quality innovative engineered design using a heavy duty frame, automation, and best quality electrical and pneumatic components like all Practix heat transfer equipment, including sublimation machines, lamination machinery and embossing equipment. Contact Practix Manufacturing today at 1-770-974-1480 to learn more about the various types of equipment we offer or to order the OK-12 heat transfer press for your business. Serving businesses across the globe, we will gladly hand-deliver or ship to companies worldwide.